As part of the Skyrunning UK weekend, we will also hold an atmosphere building night event on Friday 21st October 2016 (7.30pm). This will be called 'The GTR' (The Granite Trail Race) which will be a 2 mile UPHILL only race (incorporating approximately 300m/1,000ft of ascent), starting in Newcastle (County Down) and finishing at the Quarry, located at the top of the Granite Trail. Where: Newcastle, County Down, Northern Ireland (Start - Newcastle Tourist Information Centre, Main Street, Newcastle) - Race HQ will be at the Newcastle Baptist Church Hall, 17 Bryansford Road, Newcastle, BT33 0DU. See map HERE or photo of building HERE. Places: There are 200 places available in the GTR. Once these are filled, entries will be closed. Cost: Affiliated Athlete - £10/Unaffiliated Athlete - £11 (Entry now available HERE). Race entry includes Chip Timing and Goody Bag. Race Registration/Pack Collection: Registration (compulsory 'Sign In') will take place at Race HQ (Newcastle Baptist Church Hall) on Friday 21st October 2016 between 5pm and 7pm - No one will be admitted after 7pm - NO exceptions! This is to ensure the safety of all competitors as everyone MUST attend the Pre-Race Briefing, which will take place at the Newcastle Tourist Information Centre at 7.15pm. Your mandatory kit will be checked at Registration, so please bring it with you! Please see attached map (HERE) which shows directions from Race HQ to Donard Park Pavilion (bag drop) and onto the Start, which is on the Promenade close to the Newcastle Tourist Information Centre. Course: The course will be 2 miles UPHILL only, incorporating approximately 300m (984ft) of ascent. See below for FULL course description and map. IMPORTANT - When finished, competitors will be directed from the Quarry towards the 'jog back' route, which they MUST follow back to Donard Park Pavilion and the designated compulsory 'Sign Out' area, where race officials will note each athletes race number to confirm their safe return off the mountain. Failure to 'Sign Out' will result in disqualification. Aid Stations: As the race measures 2 miles, there will not be any Aid Stations en-route; however, water will be provided at the finish line. LEAVE NO TRACE: At NiRunning we take the 'Leave No Trace' ethos extremely seriously. We strongly believe that our stunning mountains should be left as they are found. As such, we must stress that any litter MUST be left at designated area's (Aid Stations/Check Points). Anyone found purposely dropping litter will be disqualified. Mandatory Kit: Athletes will be required to wear a headtorch and carry a whistle. A participant who is not in possession of these items will NOT be allowed to start, anyone who finishes without both items will be disqualified (your safety is our paramount concern). Your mandatory kit will be checked at Registration, so please bring it with you! Prizes: The top first three male and female athletes to reach the Quarry will receive prizes. The prize-giving will take place at Race HQ (Newcastle Baptist Church Hall) at 9.30pm. Showers/Changing: Shower, Toilet and Changing facilities will be available at the Donard Park Pavilion. Participants can leave their kit in the Donard Park Pavilion prior to making their way to the Start Line. Absolutely NO kit can be left at Race HQ. Results: Results will be added to this website ('Results' page) as soon as possible after the race, a full race summary will then be added to the NiRunning (Northern Ireland Running) website at www.nirunning.co.uk in the following day's. We will hold an official 'GTR' course recce day on Saturday 3rd September 2016. As part of this event, we will cover the course once at an EASY pace, then those who wish to have another go at it can take a second run over the route. This is an excellent opportunity to see and test the course in daylight. A map of 'The GTR' course will be available HERE. 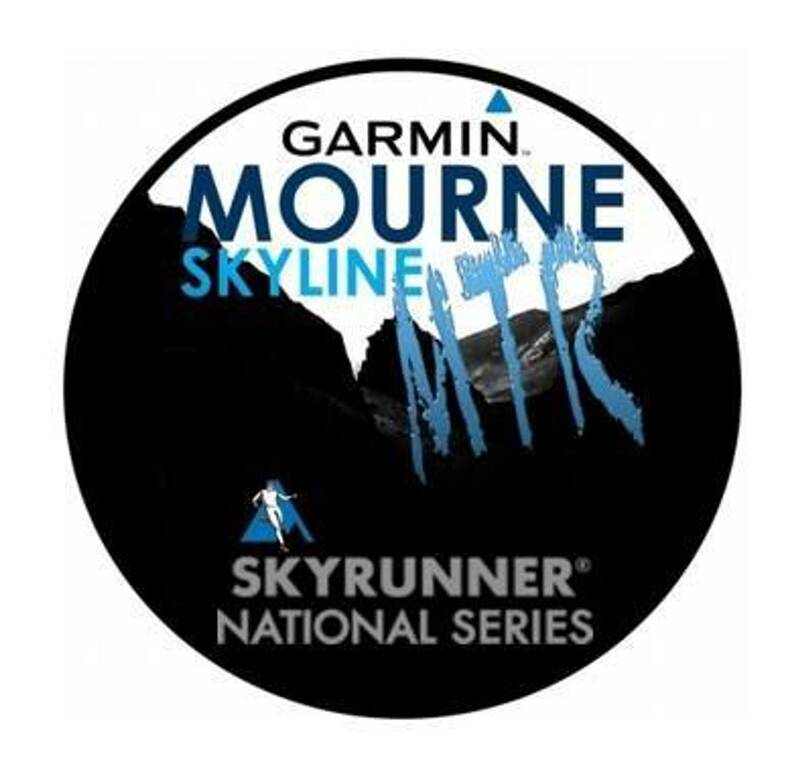 The Garmin Mourne Skyline Granite Trail Race route comprises mainly of forest paths, fire roads and single track grass and granite trail. The course measures 2 miles and there is approximately 300m (1,000ft) of ascent. The highest point will be 777ft and the lowest point is at Sea level. Participants will begin their UPHILL ONLY journey from the Promenade close to the Tourist Information Centre in Newcastle (County Down) Town Centre. Competitors will make their way along Main Street and (right) into Donard Park via the promenade entrance; from Donard Park the course crosses the Glen River bridge, towards the 'Granite Trail', at approximately 2.4km (1.5 miles). Runners will be directed right, up the steps, climbing 450ft to the Style below the Quarry and the area known locally as 'Lindsey's Leap'. 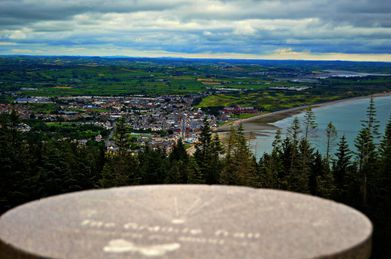 A single track grass and rock trail will take athletes further uphill to the much anticipated finish line at Millstone Quarry, where they will get a stunning night time view of Newcastle Town Centre and Dundrum Bay. Important - When finished, competitors will be directed from the Quarry towards the 'jog back' route, which they MUST follow back to Donard Park Pavilion and the designated 'sign out' area, where race officials will note each athletes race number to confirm their safe return off the mountain.